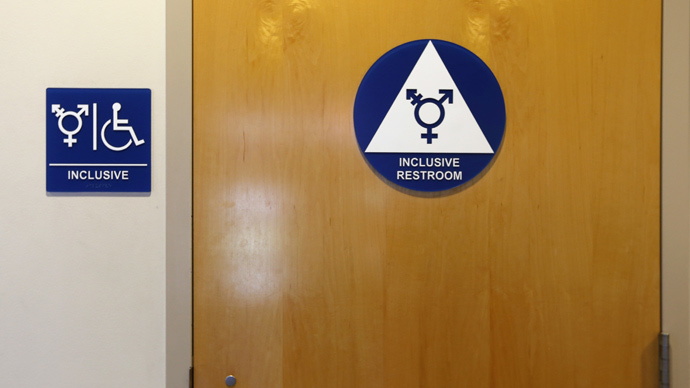 A proposed bill in Texas is raising concerns among the transgender community because it would make it a crime for a school to allow a student of one gender to use the bathroom facilities of another. Under the bill, a student could even collect a $2,000 fine from a school for any “mental anguish,” caused by sharing bathroom facilities with a student of another gender. Republican Gilbert Pena of Texas proposed House Bill 2801 to prohibit different gendered children from using the same bathroom, shower and locker facilities at schools. The bill makes no mention of transgender students, but the implication seems to be that a student who was born male but identifies as a female would not be allowed to use a female restroom, and vice versa. However, the school will be held liable if a student of a different gender is found in a bathroom they are, by law, not supposed to be in. The legislation was filed Tuesday as an amendment to the state's Health and Safety and Education Code. Pena's office did not immediately return a call by the New York Daily News about the bill. It comes less than a month after another Republican state representative introduced a bill that would jail those whose chromosomes don’t match the public restroom they might be using. Pena filed an updated version of that bill, HB 2802, on Tuesday. Both bills carve out exemptions for custodial and maintenance staff, those providing medical assistance, and parents accompanying children under the age of five or those accompanying children with special needs. Pena has been in office for two months since beating out a House Democrat in a Democratic district. He campaigned on education and job training. Similar legislation has been introduced in Florida and Kentucky; in the latter state, lawmakers removed a provision that would have awarded students who "discovered" a trans person in the wrong bathroom $2,500. The revised bill was passed through the Republican-controlled Senate last month.